Lumber price action is extremely bullish and ideal for trend followers. There is a fundamental story of fires, hurricanes, etc. 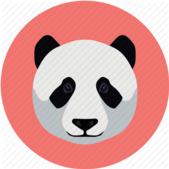 There is a technical story of positive price going upwards. The perfect cocktail mix for a profitable trade. I am replying to myself! The price action is wonderful on Lumber. The trend is extremely bullish. No big trend reversal yet! 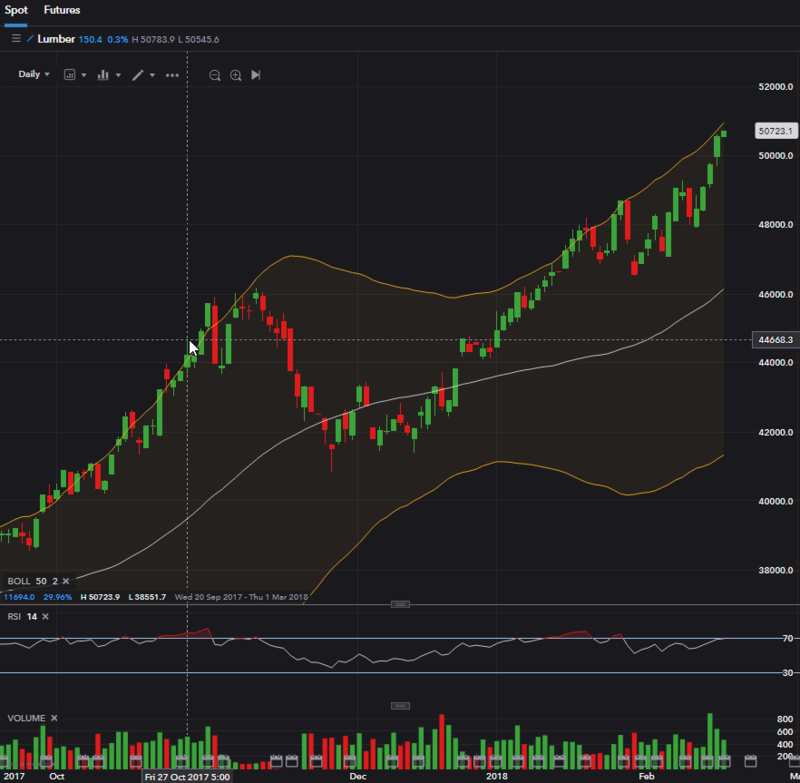 Hi Lumber certainly has had a good ride over the last 4-5 months and it will be interesting to see how price deals with it's current encounter with chart resistance from 2004. Traders saw it hence the recent pullback, wonder if the bulls will be strong enough to push through? 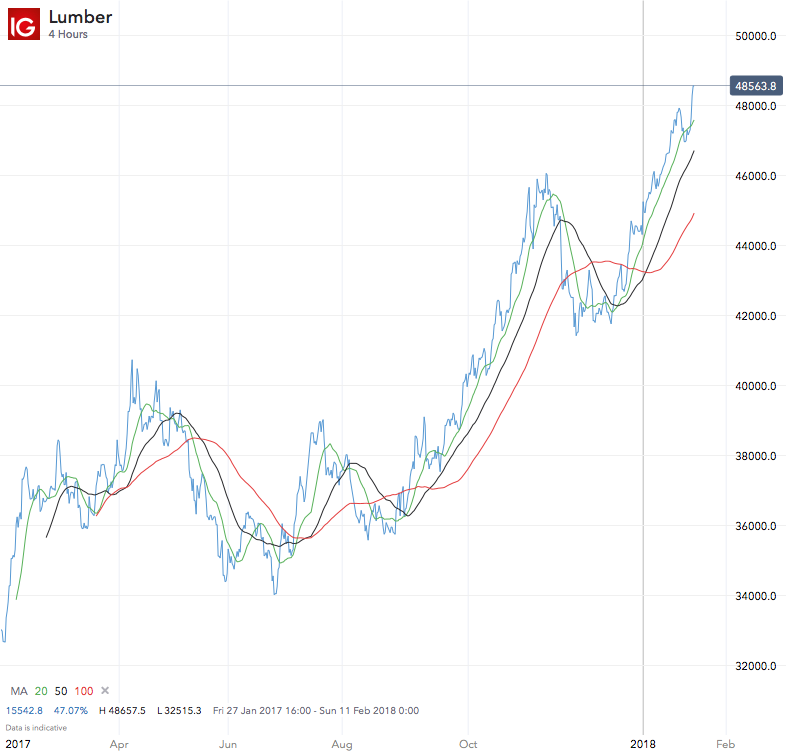 When Cryptos are involved in a 'bloodbath', Lumber is showing extreme resilience and a very powerful trend. As I write it is up over 500 points and is making new highs. I am targeting the $50000 level. interesting stuff. If this on the back of any fundamental news? Trading central seems to have a contrasting view from a TA point of view... It would be interesting to see your opinions on this? Also when there has been a bullish move like in Lumber then the market gets attracted like a magnet to round big numbers and the closest one for Lumber is $50,000! James, 20 MA has been breached. This could be a sign of weakness but it is worth keeping an eye on. Lumber hit 48347 and is having a real good go at my magic number of 50000. It looks like another leg up to get there. Lumber hit 48717. It is having a really good go for 50000. I have noticed the last few times Cryptos have had a 'bloodbath' Lumber seems to perform admirably. At the time of writing it is 500 points up. Lumber is known as a defensive asset and performs rather well during recessionary periods or when there is economic downturns. 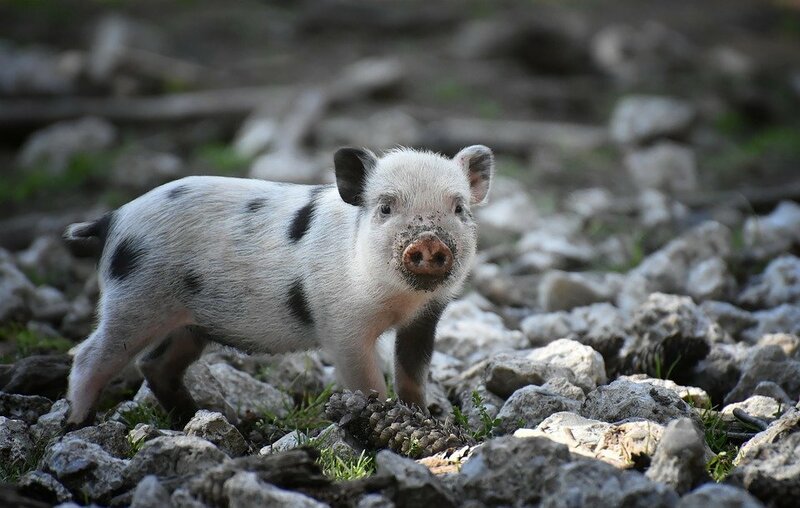 I shall be keeping a close eye on the price of Cryptos and Lumber to see if any patterns emerge. As markets generally are down and certain markets such as cryptocurrencies take a hammering, gold is certainly not performing like a safe haven. Lumber is up 500 points already at time of writing. $49129 was hit by Lumber. My target of $50000 is on course if you look at my previous posts historically. This is either going to hit the magical $50000 tomorrow or tease us and another drop coming. 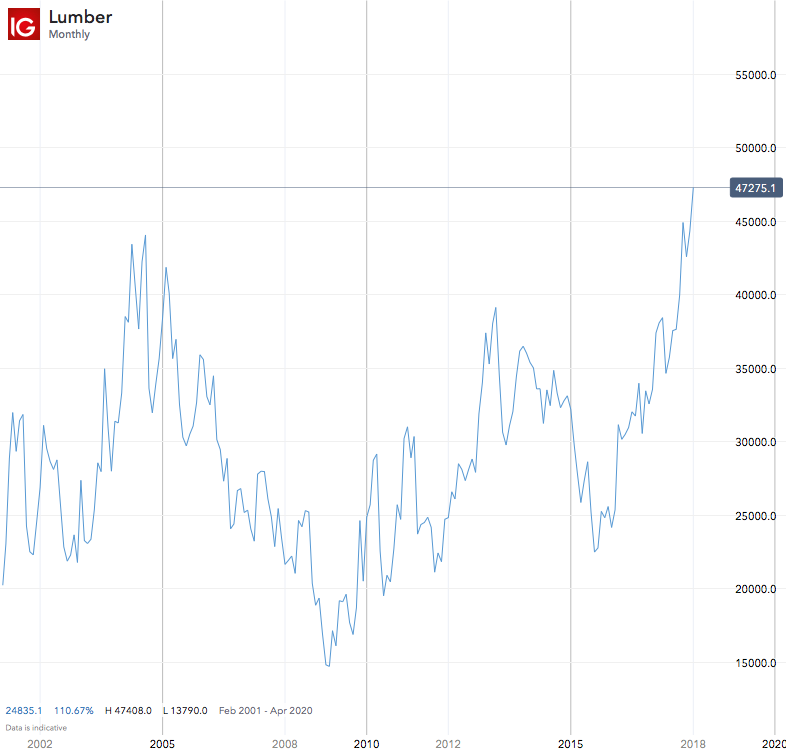 The price action of Lumber has a lot to do with the Canadian market and the tariff the US has put on the Lumber coming in from Canada. Trump is looking at a 20% tariff on all Canadian Lumber. However, it is not just the Canadian angle that is causing the spike in Lumber prices. There have been major fires in the US and a major fire in Canada. Generally if you look back historically, when ever there are supply and demand issues the price generally tends to go up. Strong uptrend chart, note the down gaps are filled quickly while up gaps are not bothered with. Yes a very strong chart showing positive and upward price behaviour. Lumber hit my $50000 target today as I expected and suggested previously. I know was a bit sceptical but I think experience in such markets provides the platform for such price targets. There are times when historical price behaviour based on charts cannot be replied upon to indicate future price moves. The question now is does Lumber go on and make new highs or does it correct in a major way due to speculative money forcing it above $50000? I think fundamental news will be key with supply and demand and this along with technicals will determine the future price action. It may even go up to $51000 or $52000 which may sucker traders in who enter established trends on new highs. This is very dangerous as there can be a trend reversal imminently. It could go up and then a big drop could follow. Lets see what happens. For all those with long positions just make sure you all have stops in place and please do take your profits on this monumental trade. You can always go back in if the need ever arises. However whilst the price action is going up then just hold. As they say let your winners run. It is all about profit maximisation. Your stop loss should be set in such a way that it only gets triggers on an established trend reversal. 5000 odd upside! Did you trade this? I did with some leverage via a spread bet position on IG's platform. The key is using leverage to maximise profits when there is such a strong trend. Of course risk management is crucial which goes without saying. I am not sure what you mean 5000 odd upside. Had anyone entered it's lowest point over the past few months then 15000 odd upside plus counting. Now add leverage to this and the trade begins to make sense. I did not get in at the lowest point of course as a trend follower I will never enter at the lowest point and never sell at the highest point. It is the chunk of the middle bit that I participate in. 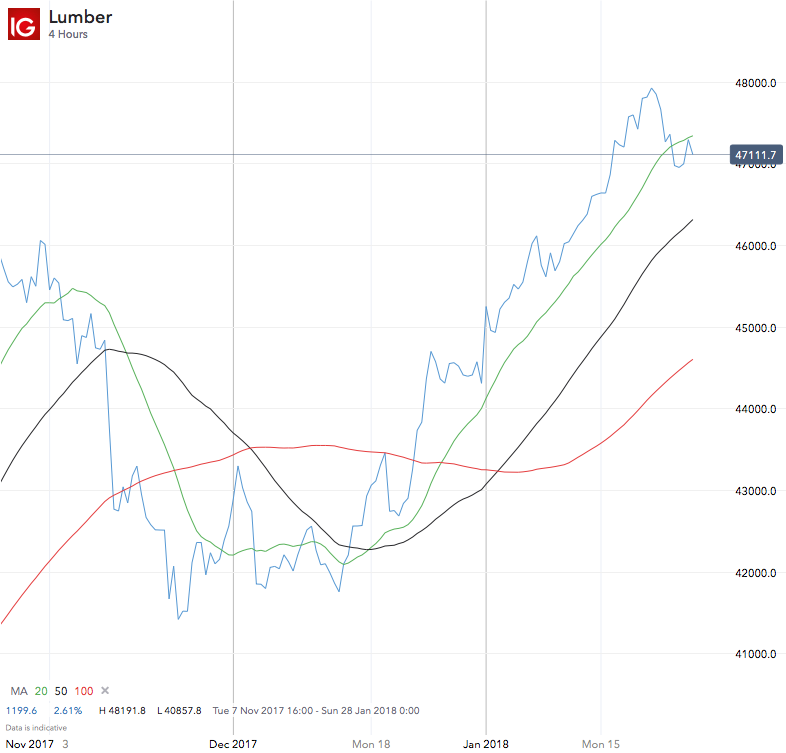 Lumber hit $52000 a couple of days ago. I would not be inclined to sell any long position until there is a trend reversal which is confirmed. 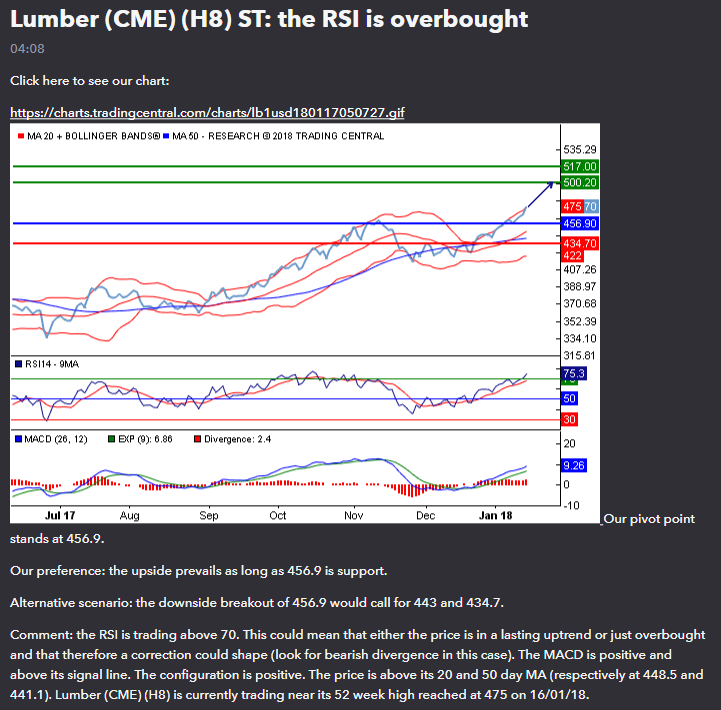 Right now need to be patient and see if Lumber declines below $50000. Whilst it is above this level I would not be even thinking about selling as this could try and attempt $55000. Observation and Patience will be Key! So the question is... which of the above is driving thistrend? If reports are to be believed or should I say if reports are accurate then rising US demand should see support for rising Lumber prices throughout 2018. Cheesy as it may be but the TREND is your FRIEND. Right Lumber is correcting. It has gone below $50000. Need to establish if it is indeed a correction or big sell off and move downwards. I thinking of anything below $46520 and I would be looking at initiating initiating a short position. This would also mean my stop loss has triggered. Remember as a trend follower I will never get in at the bottom or sell at the top. I will be looking at participation in the middle part of the trend. Lumber could be resuming it trend back upwards. If it goes back above $52,000 then it could get very interesting. Lumber is holding firm at around $51000 level. There seems to be a bit of weakness entering the strength of the trend but no distinctive trend reversal yet. It could happen so one must be ready but at the moment just need to be patient and let the price action determine how one must react. Hi , today's daily bar looks like a firm intention to crack the previous high being the biggest bar posted for some time. Interesting chart. A lot can change depending on the time of posting. It seems like Lumber hit $52,300 area. I agree there could be a breakout and the potential is high for this. Lumber may try and go for $55,000 if it can continue. Bullish trends last longer than people think. However, when a bearish trend emerges and it will then it will be far more quicker during a shorter timescale. For now there seems to be a bullish trend emerging and it will be interesting to see if this is short term or longer.